Ok, I know that the above is pretty easy using Powershell. In fact it is possible to also implement this using Automation Runspaces (again executing Powershell cmdlets from within the C# project) to achieve the same thing. But for a program that I am writing at the moment I needed to take a slight different approach. In essence I need to be able to quickly count all user mailboxes within a Exchange Mailbox Database and return them in a format of my choosing – for example; in the main program that I am writing the format would be an array which is then ported to the Data Grid control. I discovered that whilst this is a very simple task in pure Powershell – it is not that easy to convert into C# to accomplish my goal as described above. 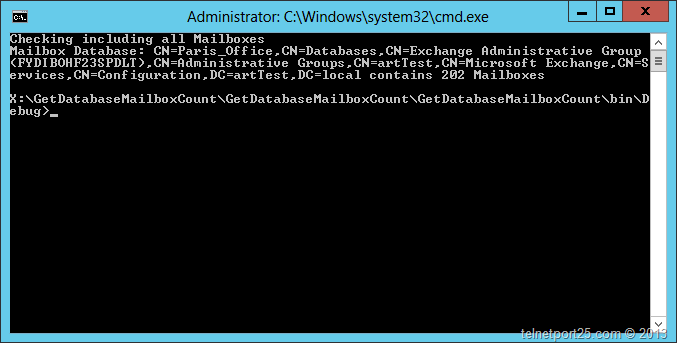 Execution time was lengthy – depending on the number of Mailbox Databases and Mailboxes. Formatting the results from the Automation Runspace into an array was not easy. I had a look around the Internet to see if there was a native way using something like EWS to accomplish the same thing – but alas I could not find exactly what I wanted. So I decided to write something in C# which allowed me to achieve what I needed. 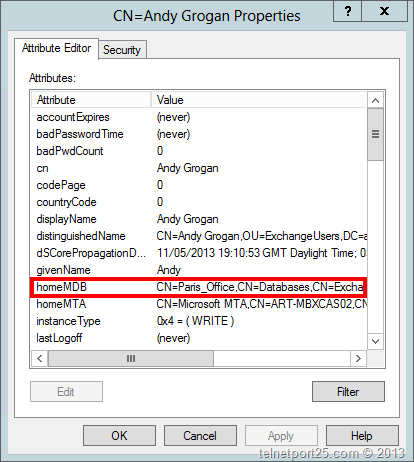 Essentially – whereas it is always preferable to use Powershell when interacting with or querying Exchange – most Exchange Objects – including Databases and Mailboxes are held within Active Directory. 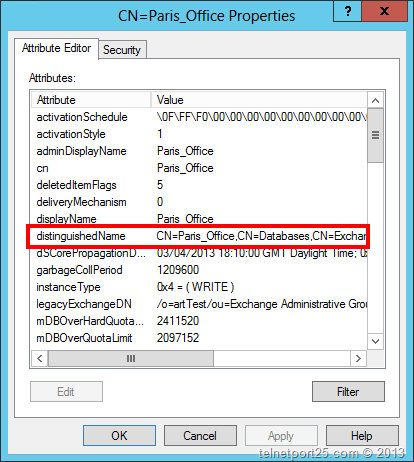 This means – that if we know a few Directory attributes which tie Mailboxes to Databases then we should be able to construct an LDAP search string using a DirectorySearcher (using the System.DirectoryServices Reference) and count the results. 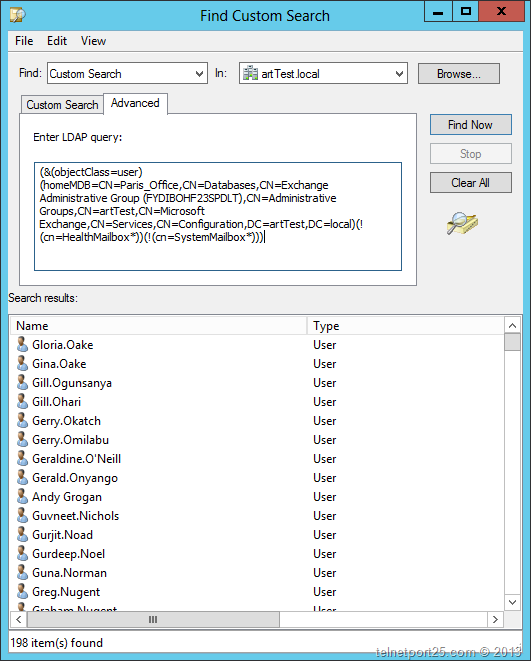 homeMDB – contained on each user object that has a mailbox. DistinguishedName – contained on all Mailbox Databases (and all other objects in AD – but I am interested in the DN on the Mailbox Database). Now that I had the information that I needed from Active Directory and the correct LDAP query all I needed to do was convert that into C#. The program (code supplied below) should be compiled using Visual Studio, using .NET 3.5 (or above) as a Windows Console Application with the System.DirectoryServices reference added to the project. So how did the above help me? For me it will now be quite simple to modify the code to return the values to an array or list and then set that as the Data Source for a Grid View control. Which is exactly what I am now doing. I hope that this helps someone out there who might be looking to the same or similar thing – and please feel free to modify the code how you see fit.